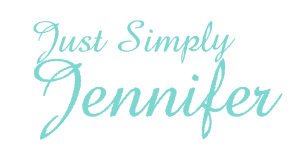 About My Work | Just Simply Jennifer! My name is Jennifer. I’ve been maintaining websites since 1997. My first one was a site for my mom’s fabric shop. It’s long been gone, but that started a passion for sites. This site started as my personal blog site. I went to college for information technology and part of the course work was making websites, so I wanted to maintain my skills learned in college. I started a blog to do that. I did not understand it would turn into my job and one that I love. This site was so successful that strangers would stop me while shopping with my kids. It became scary. I felt it compromised my safety as a single mom, so I stopped updating it. I left it intact though and now that was years ago. I’ve kept it through the years except for the comments… as a measure to clean up spam and limit it. After I hadn’t looked into this site for a while. I turned off comments and deleted all the comments that were left. This eliminated all the spam ones that had made a way through. I now work with individual commercial clients and marketing firms to create content and maintain sites. I’ve recently come back to this site to update it and get it looking nice again. Creating a website isn’t just tossing information into a free service like you’ve been told. Yeah, sure you can make it pretty. It’s more than that, just making a website isn’t enough anymore. It’s much harder to create a website that gets noticed. I’m just one person. I work to create great relevant sites for people on a budget. My sites are NOT the most extravagant, but they are properly coded and cleanly designed. I have a natural gift for Search Engine Optimization and can get my clients to the top of search engines with time. I contract out some writing assignments to get fresh articles and information for your site. I work closely with my clients to ensure I know exactly what they want and that they understand exactly what I will do to accomplish the goal. I’ll offer training and ongoing support as needed to allow you to add content, which will save you money. I work to maintain forms and ensure your website stays current with all technical updates. Get the right people to find you. I can help with this starting with keyword research to implementing for results. Making sure everything is working as expected doesn’t seem like any big deal until it’s isn’t working as expected. You need a solution. You just have to let me know the problem and we’ll figure it out together. You’ll probably not find better service. I’m a communication junkie. Typically, I work evenings into the night but talk to clients during the daytime.